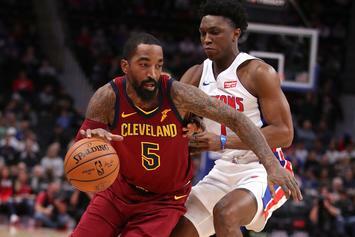 Smith drawing interest from Houston according to report. 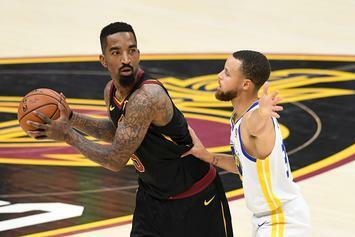 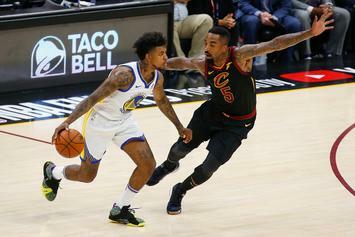 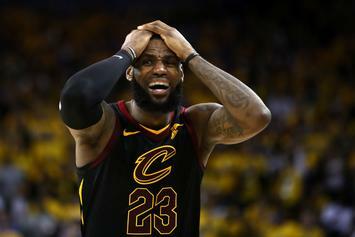 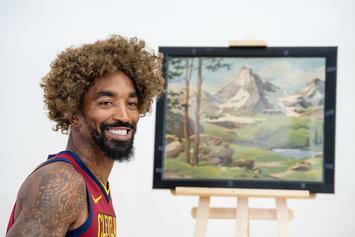 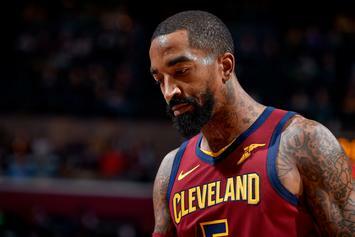 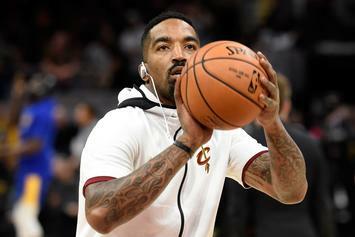 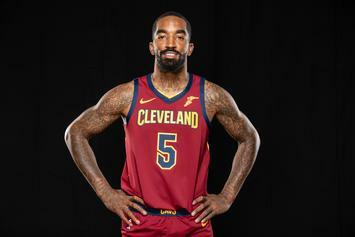 J.R. Smith Wants Out Of Cleveland: "I Don't Think The Goal Is To Win"
J.R. doesn't want to be around for a season of tanking. 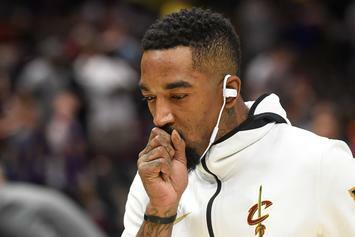 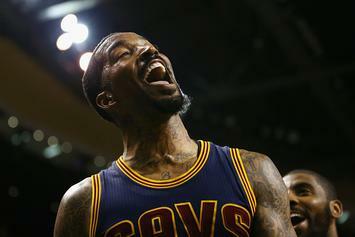 J.R. Smith: "They gave me the option an I chose to stay!" 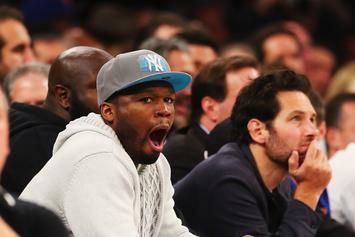 "We have reached dismissal in Cellphone-gate." 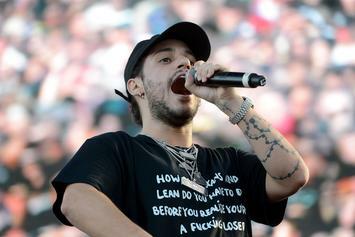 "I don't talk to the police. 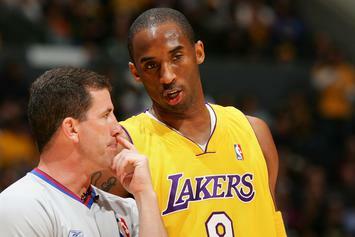 That doesn't do anything for me." 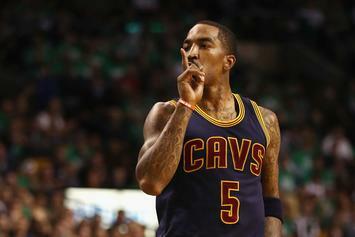 Smith isn't feeling the NBA's regulations. 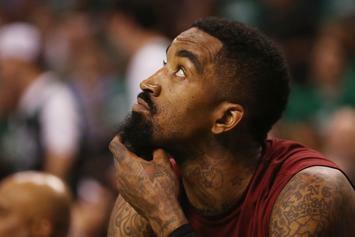 A portion of the book's proceeds will go to the J.R. Smith Youth Foundation. 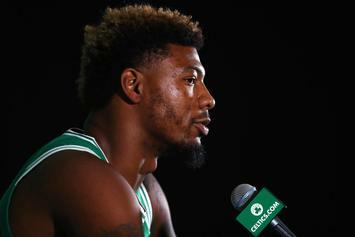 Smith turns himself in to NYPD stemming from July incident. 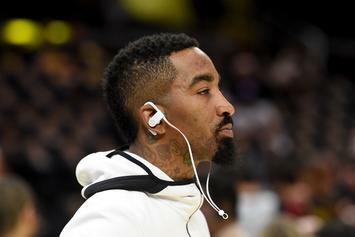 J.R. Smith hits up Stadium Goods in NYC for a new episode of Sneaker Shopping. 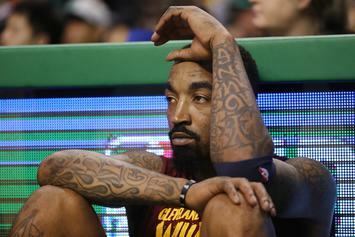 Kick a man while he's down. 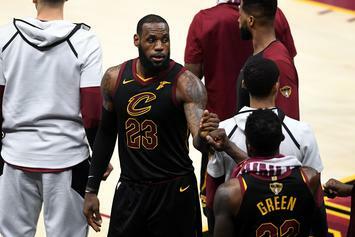 Uncut footage shows what went down on the Cavs bench during Game 1. 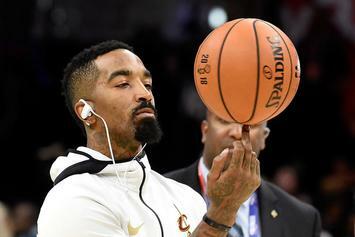 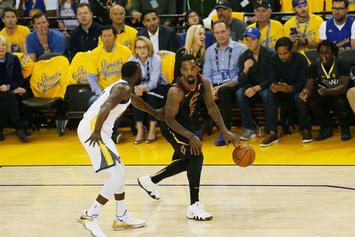 JR Smith does a 180, admits to not knowing scoreline. 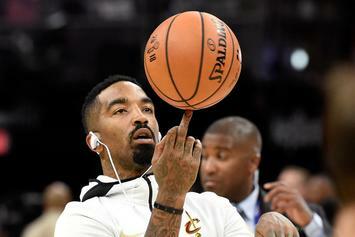 50 Cent Warns JR Smith He's In Line To "Get The Strap"
"Get The Strap" no way around it.